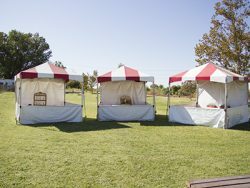 The products on this page pertain to our various Inflatables and our selection of Carnival Games. Please review the products below. Various themed panels can be added to the jumper. Call for current availability. 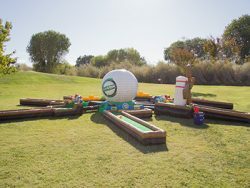 Inflatable miniature golf course. Available in 3, 6, or 9 hole configurations. Some items and décor may not be on our website. Please visit our showroom or call for more details.